New Norfolk NEWS: Stewart Rice the best in Australia! A NEW Norfolk cricketer has been named Australia's best batsman of the last season. Cricket Australia recently announced on its website that a spectacular knock by Stewart Rice headlined the top batting performances, Australia-wide, for the 2013-14 season. 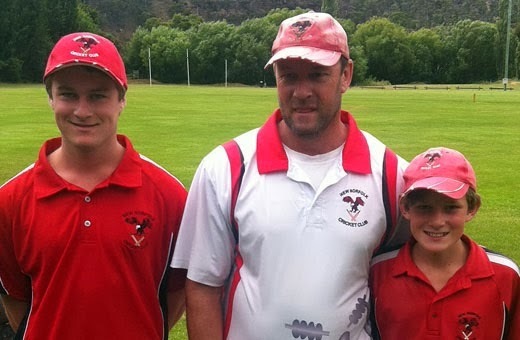 46-year-old Rice's unbeaten 324 off 125 balls placed him at the top of the table with the country’s highest individual score according to the Weet-Bix MyCricket Honour Board. 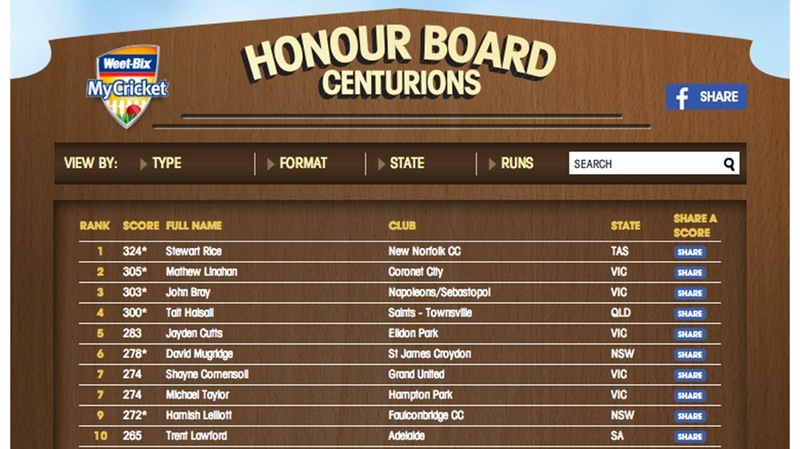 The online honour board ranks every innings of 100 or more scored in junior, senior, veteran, womens, mens, premier grade and state cricket. See them all here. Rice’s winning innings was reported by the New Norfolk News in January, thanks to Wade Gleeson. Stewart Rice and sons on the day of his big knock in January.